Phil - I followed your great pick re F and sold short the 1011 2.50 puts (200 contracts) and paid for the next 10 years of membership fees…. Thanks! I am about 1000 hours into learning about investing. While, I have tried other websites along the way, they don't teach or focus on selling premiums and certainly don't have your mindset. Anyway, I have a lot to learn and look forward to the new portfolios. So, thank ALL of you for being patient and teaching others how to "Be the House and not the Gambler"! Tesla et. al. – I've spent many months getting hammered shorting overvalued Momos, until, finally, I internalized Phil's message. Play small; give yourself plenty of room to double/move up the [lack of value] chain in terms of price. Play short; take [Musk's, eg.] latest bleep and sell the spike for a short time frame, because his tweets always come to naught. I've been coining money doing it, I just watch that premium melt away with scarcely veiled amusement. Swinging for the fences is for suckers [me, for a long time]. Those little gains really add up — $2k per week of evaporated premium and you could actually buy a Tesla by the end of the year!! Phil, I meant to post over the weekend, but I was busy having fun . Last week was a very nice week for me, and I wanted to thank you for all that you do. I am pretty much back to cash and really feel like I am learning. I have out performed the $5kp by a very large margin. Thanks again for the service you provide. Phil, Passed a milestone today since joining 2 months ago. 25% of my account is in buy/writes, bull call spreads and disaster hedges. A majority of the trades were taken directly from your ideas or someone else`s contributions. Some were daytrades that became spreads. That part of my account is up 30% as of today. I don`t worry about it, or mess with it much, did a few rolls etc. Rest of the account is there to day trade, cover the writes and take advantage of opportunities. Thanks to everyone who contributes here, what a sweet way to trade, so many opportunities. I am a Registered Nurse, so is my wife. We work hard to take care of seven kids that are the joy of our lives. The cost for a basic membership is ALOT from our our monthly budget of spending and saving…but well worth it! Phil has allowed me to really ramp up the savings we put away for our children's college funds and our retirement. I subscribed to Phils Stock World full service for a year or so and found that it was extremely helpful. Now I just get the Stock World Weekly summary, which I find invaluable. Phil does not baby people and certainly can't make someone into a successful stock operator who does not make the effort on their own behalf, but he is extremely generous with his time in answering newbie questions. Although I found it difficult to follow and implement all his trades in real time, what I did find was that once you got the hang of his methodology and way of thinking, you could work out your own trades and be quite successful. Even just using his patent Rule Number One* alone is worth its weight in gold. Rule Number Two is even better. 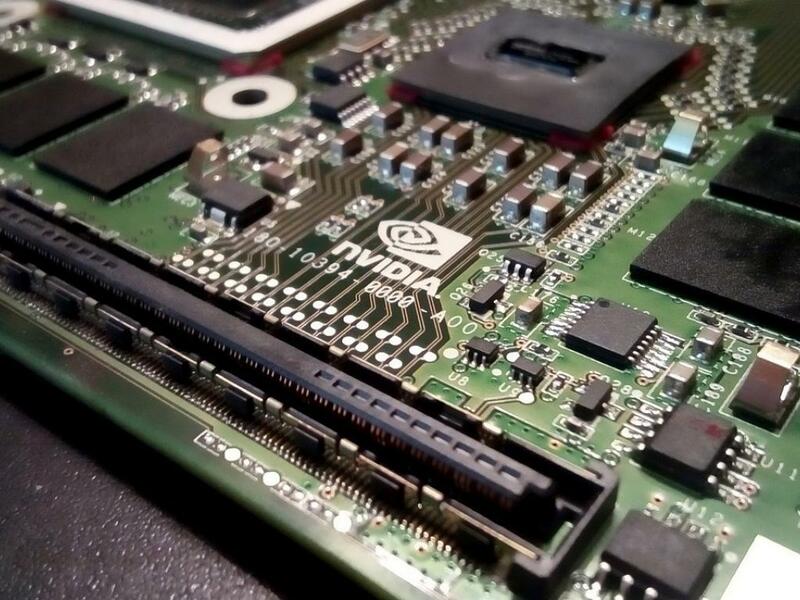 NVIDIA Corporation (NASDAQ: NVDA) has its toes in a number of high-growth markets at the moment, but one Wall Street analyst says its leading position in artificial intelligence technology is what makes the stock a buy. Barclays analyst Blayne Curtis upgraded Nvidia from Equal Weight to Overweight and raised his price target from $265 to $280. There are simply too many things to like about Nvidia at the moment to question its lofty valuation, Curtis wrote in a note. 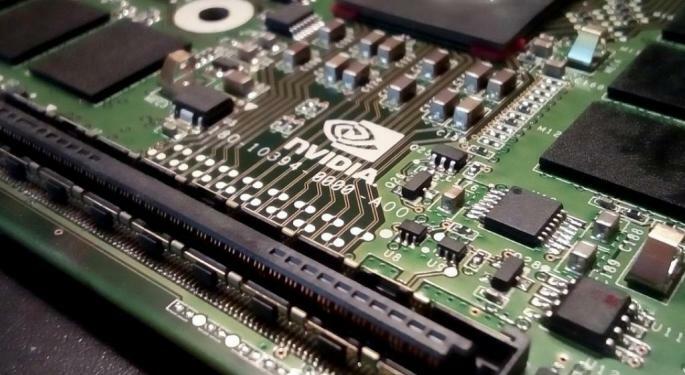 “We see a strong gaming/Volta cycle ahead, which should help mitigate any near-term crypto risks, while our work suggest the AI franchise is more durable in the Data Center with some Edge opportunities (Auto, robots, etc) where NVDA brings an unparalleled scale,” Curtis said in the upgrade note. He conceded that cloud hyperscale will be one area in which Nvidia will likely face intense competition in coming years. However, Curtis said Nvidia has already created a wide moat in the massive auto market and is looking to do the same in robotics. Barclays estimates the machine learning market will reach $3.8 billion in 2018 and the overall AI market could be in the tens of billions annually by 2020 thanks to the power of inference. Between training, data center inference and Edge inference, Curtis estimates the total addressable market for the semiconductor group will grow from around $4 billion in 2018 to around $30 billion by 2023. Nvidia stock traded higher by 1 percent to the $229 level on Thursday morning on a weak day for stocks. This entry was posted on Thursday, May 3rd, 2018 at 12:00 am and is filed under Benzinga, Immediately available to public. You can leave a response, or trackback from your own site. BTW Phil, I wanted to relate a conversation I had with my business partner yesterday. I told him that I have been much more relaxed about my investments ever since I joined your site. It's funny how a 15-20% cushion does to your nerves. My returns have increased dramatically and my risk diminished. Many thanks for the guidance and patience. Good thing I am doing better financially as you might have increased my life expectancy as well! Phil you are great, and not only is your market info spot on but you have the courage to call it like it is and write about it in a great tone. I picked up one of your recommended Gold plays, the July ABX 30s and sold the Feb 35s, which are now mostly intrinsic value. Is it time to roll these to the March 37.50s, or should I wait this spike out? 10/15/2014: Phil…..been travelling more than not but reading and watching you guys every night. This is to say a big thank you. Even though I don't have the time to trade every day now I set up hedges and base long term strategy on PSW. I now it may sound like BS to some readers but my 401k is down a mere 3%. It hardly gets my attention when I open my brokerage portfolio accounts. And that is by using your longer term hedges and strategies. I don't need to be a day trader to take advantage of PSW. At this time in my life when I cant trade every day……. not losing what we've gained moves front and center. It's just a great feeling to watch your brokerage account hold steady in a sea of red. Thanks Teacher.